A health and wellness blog promoting a healthy and active lifestyle. Fall is here, winter is right around the corner and you feel more congested than ever. Your problem may be indoor allergies. According to WebMD humans spend on average 90% of their lives indoors! Due to this fact it is important to clean your living space as well as possible and stop these indoor allergens at their source. Common house hold allergens according to www.medicinenet.com include dust mites, cockroaches, mold spores, dogs, cats, other pets, and indoor plants. To combat these allergens you will need to tackle a number of common places in your home. Bedroom – Make sure you wash your bedding weekly. The bed is a common place for dust mites to gather. Washing will help control the dust mite population in your home. Kitchen – Wash your dishes daily. This is very important to control pests such as cockroaches according to www.creaturecontrol.net. Common Areas – Common areas may have plants, dust mites, and mold. Be sure to control these areas with daily vacuuming, making sure that your plants are not building up mold, and washing your windows. If you have a pest control problem or mold contact a professional to help control and determine further action. 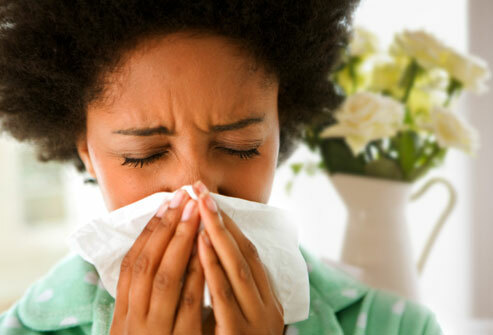 If you are continuing to have allergy symptoms see a physician. It is something we all take for granted time to time, our health. Why do we forget something that is so vital for our survival and well-being? It is so easy today with constant distractions, email, television, work, and the iPhone 6. We get caught up in ourselves and before you know it the day is done and you haven’t even walked 2,000 steps! So we are here to give you some simple tips to get away from it all. 1. Leave the phone – Most of us have smartphones that seem to be attached to our hands at all times. Instead of contently keeping the phone with you leave it somewhere out of your reach, or better yet, turn it off once you get home from a long day. 2. No more email – Email does not need to be checked constantly throughout the day. Try checking your email every 2 or 3 hours at work and leave it alone when at home. 3. Get outside – Walk the dog, go for a walk with your significant other, or just go and enjoy some fresh air! The above are just a few steps to decrease stress and increase well-being; which, we all need a little more of. When you work sitting down all day you tend to gain weight quickly. This is a common problem of living the “Cubical Life”. It isn’t an easy thing to solve but it can be if you put some effort into it! Here are three ways to beat the desk job blues. 1. Drink water – Most people don’t get enough water during the day. Make sure you are drinking plenty of water throughout your workday. This will help you stay focused and energized. 2. Lay off the coffee – I know, I know, we all love coffee but too much is not a good thing when you are sitting all day so cut back a little substitute water in its place. 3. Get up! – move around, don’t just IM your boss go say hi, bring her your message the old fashion way it will get you away from the desk and up and moving around. That morning, not the morning you have been waiting on for months but the morning you have not expected. The one where you ask yourself a series of questions most of which are incorrect. After thinking with what little power you have left you call your boss to give them the bad news. We have all been there, you are sick and not the sick where you can take some cold medicine and make it through workday fine sick. It’s the please don’t talk to me, I feel like I’m never going to get out of bed sick. Some of us push through it and make it to work with the help of medicine, coffee, and water we simply get through it. I’m here to say, right now, why are you trying in the first place? Work was meant to have productivity not sluggish performance. Ultimately productivity and quality of work matter to the company and that is what you will not give them coming in sick. Not to mention, the chance that you will make others at your work place sick leading to more loss of productivity and quality of work. Stay home. Your body, and boss will thank you….even if s/he sounds a little angry at first. Is dieting the right way to lose weight?